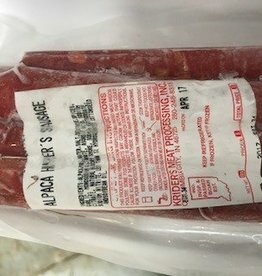 Alpaca Meat sticks, 7-8 oz/pkg Spicy Low in fat high in protein and iron This product has a small amount of pork added. We prefer local pickup. We can ship for additional charges depending on location.